The Forgotten Seamstress was inspired partly by a piece of unique royal silk that I discovered at the Warner Textile Archive in Braintree, Essex, and partly by my personal experience of spending a couple of nights in a clinical ward which was part of a huge former Victorian mental asylum near my home in Colchester. At the centre of the novel is a patchwork quilt, through which we learn the extraordinary story of Maria Romano, seamstress to the Royal Family. To learn more about the quilt and how it was devised in collaboration with quilting expert, teacher and author Lynne Edwards MBE, click here. Here’s a synopsis to whet your appetite: London, 1910: Maria, a remarkable young seamstress, is noticed by Queen Mary, patron of the London Needlework Guild, who gives her a job in the royal household. A century later, when turning out her mother’s loft, Caroline discovers an old patchwork quilt left to her by her grandmother, and becomes intrigued by the curious verse embroidered into its lining. When her best friend, a fabric conservator, notices that some of the fabrics are almost certainly unique and rare royal wedding silks, Caroline becomes determined to discover more about the quilt and its mysterious origins. Through the fading memories of her mother, some family letters and photographs, some old cassette tapes and the help of a local journalist, she uncovers an extraordinary story involving a royal affair, a life of incarceration, an illegal adoption and two women whose lives collided with devastating consequences. Finally, Caroline comes to understand what her Granny wanted her to know – the truth about herself and how she wants to live her own life. The book has now been published in the UK, US, Germany and Italy, and has just been published in Bulgaria. It is also available in a large print edition in the UK. 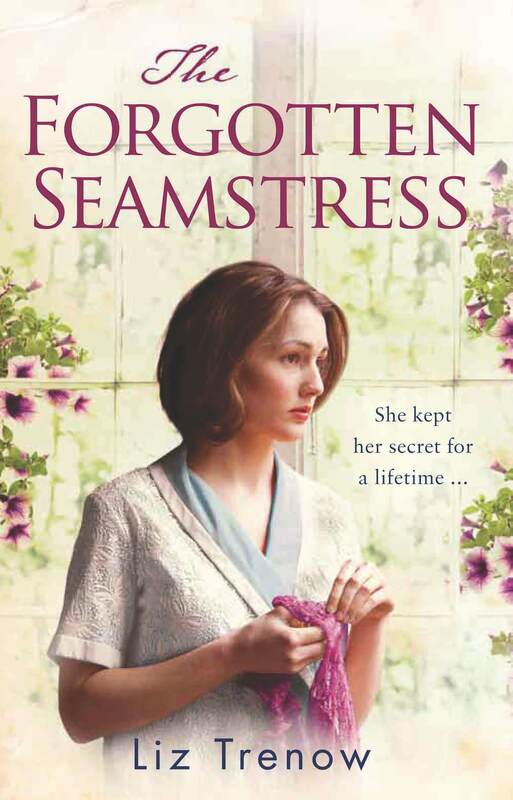 Just finished “the Forgotten Seamstress” – loved it on lots of different levels. Brilliant book. Loved the quilt mental picture! Would make a great film. Can’t put the Book down, no housework this week!! I would love to tell you my story Liz, I am sure you could write a book about it. So glad you are enjoying The Forgotten Seamstress. Re your own story, you really should write it down – just as it comes into your head. I am sure your friends and family will love it, and perhaps one day you will turn it into a novel! Thank you Liz yes I must do some writing but do not have the confidence to make it interesting enough for a book. Hope your latest novel does well I am sure it will, can’t wait to receive your first book have ordered it. Must go have some reading to do!! I’ve just finished your book while being laid low with a bad back and unable to get to my sewing machine. I thoroughly enjoyed the story not wanting to put it down. Many thanks to you and Lynne for the “freebie” quilting pattern, I must go and sort my stash and see if there is anything suitable and make at least part of the quilt. I have several of Lynne’s books so know that the instructions will be good. Off to look for The Last Telegram. Thanks for getting in touch. Have you seen the quilt made by Pauline Leadley, just posted on my website? Hope the back feels better soon, Margaret. A brilliant story hard to put down, not much sewing done this week! I wrote my ordination (to the ministry) 25 years back using the metaphor of tapestry. So, as you might imagine the story of Maria and Caroline was very intriguing to me.And when I read about your presence at my blog friend “Random’s” bookfair, I thought it was time to download it. Lovely book. I enjoyed this book immensely as I did The Last Telegram. However, I’m puzzled by something. On page 290 of the US paperback version the letter from Jean to her son is dated June 1970 and in it she says she has just celebrated her 70th birthday so she was born in 1900. It goes on to say she married in 1914 which would have made her 14. I know people married young a hundred years ago but,,,am I missing something? Hello, eagle-eyed reader! You are missing nothing! It is a misprint – they married in 1917 (not 1914), when she was seventeen. I just finished The Forgotten Seamstress and loved it. I agree it was hard to put down as evidenced by my finishing it in less than two days! As I was picking up the “clues.” I actually felt I was picking out the tiny quilting stitches. I could relate to so much in this book; the quilting, Caroline’s angst of obtaining proper care for her Mum, loss and ultimately hope. Your oter books are surely on my To Read list. Thank you for your wonderful story telling ability. Absolutely riveting – I read it in a day – loved it and have downloaded the pattern for the quilt which I hope to have a go at. Thoroughly enjoyed the last telegram and have just downloaded The Poppy girls. Have you any more in the pipeline. Where is the fictional Eastchester based on? I live near Harwich and had worked in Turner Village and Severalls in the late 80s early 90s and we had patients there who had been born to girls who had been sent there only because they were pregnant and unmarried. They had never lived outside and there was nothing wrong with them. It was heartbreaker. What a wonderful comment, thank you so much and I’m glad you enjoyed the book. Eastchester is of course based on Colchester so your instincts were absolutely right. Good luck with the quilt – do send me a photo when you have finished it. I am part way through writing my fourth book. I’m not sure when it will be published, probably in late 2015. Hope to meet you some time – perhaps at one of my talks or book festival appearances? Thank you for this book which I found totally enchanting. I live in Essex and wondered if Eastchester was based on Claybury, Woodford or Warley in Brentwood so was fascinated to learn the truth. Like other readers your book felt very familiar on many levels e.g. the retirement home, dementia etc. etc. I was just so amazed that you mentioned the actual names of royalty i.e. David and dates. Utterly fascinating, you are really talented, I’m just about to embark on The Telegram, roll on your fourth book. Thank you so much for your lovely comments. I am sorry to disappoint but Eastchester is based on my home town of Colchester, Helena Hall on the former Severalls Hospital, and the university on the University of Essex. I’m male and am hopeless at any kind of sewing. However, I found your book extremely entertaining. My wife is a keen needleworker and tackled a quilt sometime ago. I found the historical references interesting, especially the way mental health patients were treated even as late as the 1950’s. Thank goodness times have changed! Like Paulein, I’m amazed you were brave enough to mention real names of royalty, dates, etc. It would be interesting to know if members of the present Royal Family have read it! unlikely that I will ever find out! Thank you so much for an inspiring story. I loved the quilt focus as I have in the past dabbled in quilting. Lynne Edwards pattern of the quilt is beautiful and would so love to try it one day. I also enjoyed your other 2 books and waiting anxiously for the fourth. Thanks for writing! I am currently hard at work on Book 4 and will post details about it on my website as soon as I have a publication date! Thanks so much for writing. If you do make the quilt, please make sure you send me a photo so I can put it up on the website! Just finished reading The Forgotten Seamstress and all I can say is WOW…What a Book! I have read hundreds of books in my lifetime and there have been a handful that I have “devoured” from page 1 to the end. This is one of those books. Every spare minute I could steal from my daily routine over the last two days was devoted to this story. When I got to the end of the book I wanted to yell “No…I’m not ready to have this end!” I will definitely be reading Liz’s other books as soon as I can. Thanks so much for your lovely comments – I am so glad you enjoyed it. Absolutely a fantastic book! Could not put it down. Beautifully written and I cannot wait to read your other two plus new one to come. Thank you. 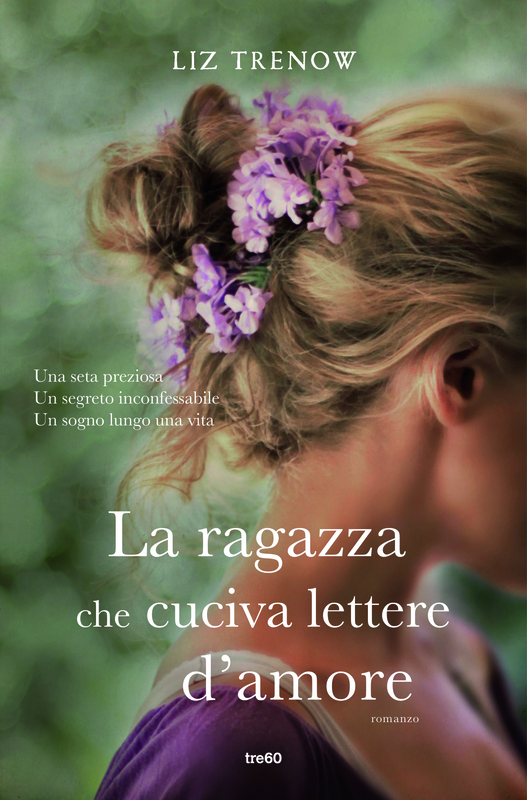 I am so sad…because I finished reading your book some minutes ago, now it´s over…I enjoyed it so much, it gave me so much pleasure ! Thank you so much for this wonderful story and this so extraordinary “maincharacter”: Maria´s quilt! Now I think about fabrics and am not sure to be good enough to sew this quilt so good as it has to be done because the story is so great and Maria is such a perfect sewer, I´m not… But if I really star this project, I´ll do my very best! I just finished the book “The Forgotten Seamstress, in one day! A great book! I have been for the past year working on my Family Tree (Quilt) . It takes me back to my 10th Great Grandfather’s, John Billington who came on the Mayflower and Thomas Harris that came to Jamestown in 1611. My family tree great Grandparents were many of the Kings and Queen’s of England. Princess Diana was my 1st cousin 9 times removed!!! Sir Oliver Cromwell and Elizabeth Bromley were my 10 Great Grandparents and this side is how I am related to Princess Diana. Can’t wait to read more of your books!!! Thanks so much for getting in touch. Well done for tracing your family tree back so far – it’s a fascinating process isn’t it? My next book, The Hidden Thread, will be out in the US next May (2017) and is set in 18th century London when the Huguenot weavers came over and brought their silk weaving skills with them. I just finished The Forgotten Seamstress. I couldn’t put it down. I loved your novel. The plot twists were wonderful. My hobbies are quilting, historical research and reading. So this novel had it all for me. Your characters are so well defined and believable. Thank you for a great read. When I pulled up the pattern for Maria’s quilt the pictures had my jaw dropping. I will defiantly make this one. Can’t wait to read more of your work. How lovely to hear from you. Please, please do send me a photo of the quilt when it’s finished! I just finished The Forgotten Seamstress. I am drawing a blank. How did Jean come to be in possession of Maria’s quilt? I know Maria took care of Nora until her passing. Thank you for writing. I didn’t want to spell out every detail but chose instead to leave clues for readers dotted throughout the book. But here goes: Jean told Caroline that when Richard and Arthur were killed in the car crash the news made the national newspapers, using a photograph that included Jean. Maria saw the report and recognised the woman in the photograph as the person she knew as ‘Margaret’. After Nora died, she wrote to Jean, care of the university where Richard had worked. Jean, who was as you know wracked with guilt, wrote back and invited her to stay. Maria brought her quilt with her, of course. Is there a sequel to “The Forgotten Seamstress”? This book was fantastic! But I just wonder if Ben and Caroline are now a couple!!! !